Elegant, polished, and refined, a black Helmet video monitor means business like no other. It is an excellent choice for offices, as well as for home video monitoring. Use it as a home camera, pet monitor, or nanny cam. Turning your Helmet camera into a home monitoring system is easy like never before. 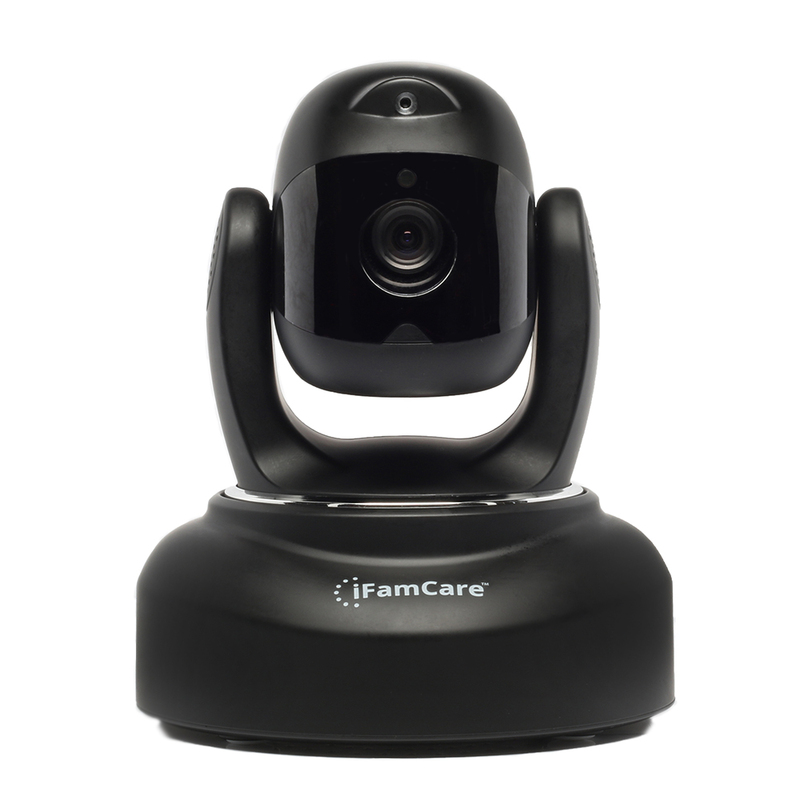 Simply add several monitors to the iFamCare app and see your home from every angle. I thought I’d have to read a book for a disevocry like this! This camera is awesome! Connects effertlessly and is super easy to use! I love the laser, while im at work, I’m able to interact with my pets from home!! I highly recommend! We got one for the house to keep an eye out on our 3 fur-babies. It’s awesome! Quality is great (even in night mode) and the sound is great. When I first used the talk feature to talk to my dogs from work, 2 of them could care less, the other was investigating the camera. But it’s also great to make sure only invited guests enter you home! We need more to set up around the house!